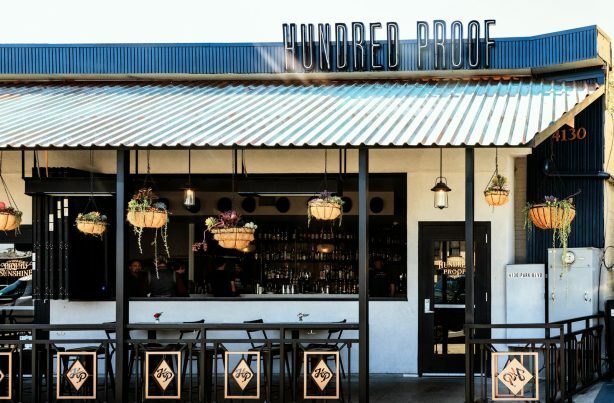 Just north of the San Diego Zoo on Park Boulevard, it blazes a foodie trail up to the quaint, Craftsman-packed neighborhood of University Heights. Though there are some worthwhile outliers (Trust, for example) most of the area’s restaurants line a two-block stretch of Park Boulevard where they’re all in arm’s reach. Trust’s acclaimed dishes don’t fall easily into any category, so perhaps their own description of “urban rustic food” best describes local and wood-fired dishes like their octopus fritters with okonomi sauce, chicken liver toast, or dry-aged pork chop with local red beans. Choose from an outdoor patio putting you in the heart of Hillcrest, or a relaxed but urbane interior. Hip yet casual, this relatively new outpost impresses with its craft cocktails (no easy feat in this city). But a varied menu of entrees like pork belly fries, short rib bao buns, truffle mac’n’cheese, hen egg pizza, and desserts like caramel apple float will encourage you to stay and fortify for another round. Brace yourself to be wowed by the all-wooden, vaulted interior that has been compared with being inside a giant guitar. Rest assured this place is far more than a mere Instagram post, as evidenced by dishes like pan-roasted free range chicken with wild mushroom bread pudding, panko-crusted pork chop, or a side of roasted cauliflower gratin. You might as well be in the City of Lights with these small-batch French pastries and candies. The goodies are handmade by Le Cordon Bleu-trained chef Melanie Dunn in her home kitchen above the patisserie. Pop into the tiny space and order to-go chocolate and pistachio croissants, canneles, caramels, tortes, and macarons. Pop in for artisanal sweet and savory pies, craft coffee, ice cream, draft beer and wine. Hearty pies like braised pork shoulder or Worcestershire-sautéed minced meat clock in at a hefty 5-inch-diameter, while sweet pies such as apple crumble, coconut cream, or key lime measure 4-inches across. They even have Vegan options! Tiny, inexpensive, and ultra-casual, this is one of San Diego’s popular Thai restaurants. Limited seating means customers must often stand while waiting for traditional dishes like shrimp tom ka, green papaya salad, stir-fry, five styles of curry, and specialties in the $12-range including roast duck and fish curry, lemongrass chicken and crab fried rice. Park yourself at the bar of this excellent couples spot, or adjourn to the expansive-yet-cozy patio for table tennis, giant Jenga and Connect Four. Bask in $9-$10 craft cocktails. Have an intimate conversation at an al fresco table. Demonstrate your aptitude for pinball. It’s all possible here. New Zealand-themed newcomer tops a brewery with an expansive patio, perfect for sipping hard kombucha, craft beer, and dining on Impossible meat rolls, fish and chips, shepherd’s pie, and other delights from Down Under. Although labeled a Vegan/Vegetarian restaurant, anyone who savors the flavor of these meat-free dishes will leave wondering when they’ll go back. All dishes are prepared daily with plant-based ingredients. Be sure to try the famous flower cup appetizers, “chicken” satay, and coconut-based Zen soup. Make a reservation in advance as this quaint restaurant fills up quickly. This entry was posted in Dining, Neighborhoods by San Diego Magazine. Bookmark the permalink.